The muscular Moehog stared at the blue lantern in the center of the room as it gently flickered. "I've never really babysat before," Jeran admitted, looking at the small child. "You'll be recruiting me for this job? I'll do it," the Scout answered unhesitatingly. Night patrol. It was the time when all the bustle and lustre of Brightvale was lost to a cloak of darkness and an eerie silence that seemed to hum with possible threats. 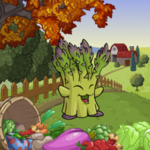 In the beginning, he was just an ordinary hot dog, destined to be lathered in ketchup, mustard and relish, and greedily eaten by a hungry Neopet. The mote was barely strong enough to brighten the rest of his bag containing all his other mote creations. "Another failure," he sighed under his breath. You gotta know one thing: I don't give quests.